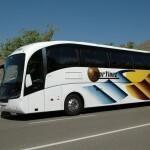 Our “Comfort Class” refers to a type of coach with higher comfort for the travelers. 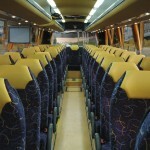 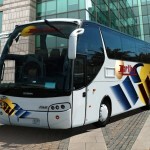 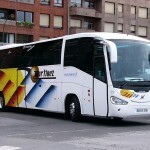 A modern coach of 12, 13 and 14 meters with fewerseats, this gives itbigger interior amplitude of the travelers seats. 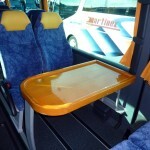 That way you will have between 8 and 10 cm (3.15 – 4 inches) of higher comfort for your legs in each seat. 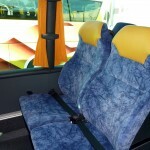 – Safety belts properly certified and homologated in all seats. 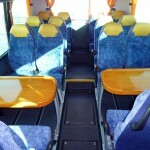 – Modern seats integrated with leatherheads stuffed to be more comfortable. 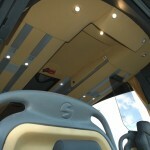 – Some units equipped with toilet.